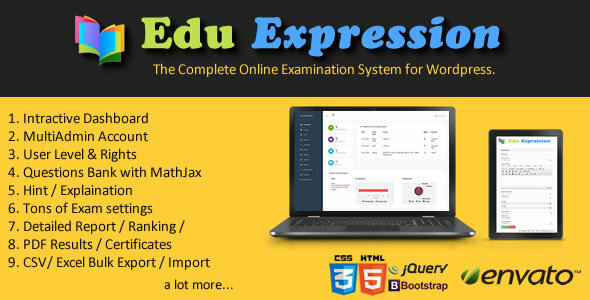 Edu Expression is powerful online examination system that enable WordPress users to manage and conduct online examination of any type with ease. It has more features than any other available Examination system for WordPress presently.Demo is Dead make your own it. 0 Response to "Codecanyon - Edu Expression Online Examination System Pro - v.1.0"